The tundra biome, characterized by bitterly cold temperatures, dry winds and negligible rainfall, is located in the arctic and on tops of high mountains. Despite the harsh climate, the tundra blooms in its short summer when the surface layer of the ground melts. The landscape changes drastically from a barren, snow-covered terrain, to a colorful landscape of flowers, shrubs, sedges, mosses, lichens and grasses. The tundra is alive with about 1,700 kinds of plants, of which there are roughly 400 varieties of flowers. While the arctic tundra is cold and deprived of sunlight for most of the year, it has a respite in its summer months. For a period of six to 10 weeks during summer, the region is flooded with sunlight 24 hours a day. 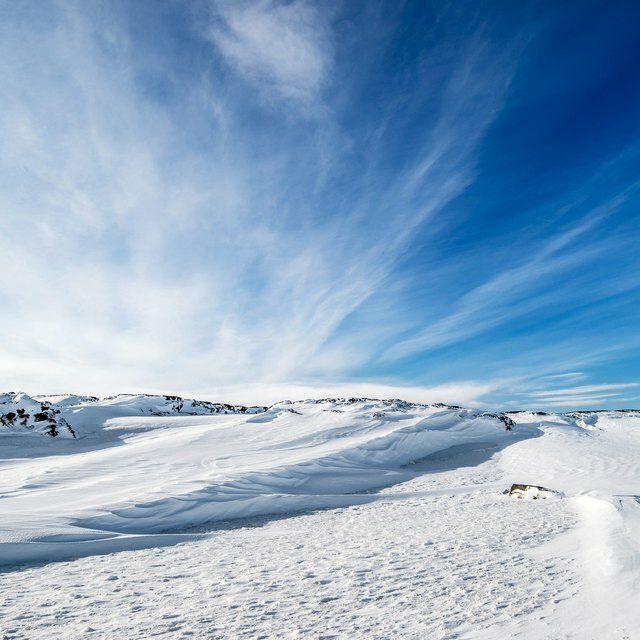 Temperatures ranging from 37 to 54 degrees Fahrenheit melt the snow and heat the top layer of the soil. The plants sprout up at the start of the summer and stay until the frost sets in again. All tundra plants grow close to the ground, forming almost one layer over the land's surface. This gives the plants equal access to the sunlight and keeps them close to the warm soil. In addition, their short height protects them from gusty winds and cold temperatures. Fine hairs cover most tundra plants and some of the flowers as well. A layer of insulated air is formed by the hair and controls their temperature. Some plants have thick and leathery or waxy leaves. Both the hair and leaf characteristics prevent moisture loss from the plant. Although some annual plants grow in the tundra, the majority of them are perennials. The seeds and roots of these plants are able to withstand the harsh winter and reappear in the summer. Most tundra plants have the fibrous root systems due to the thin layer of thawed soil. These roots cover a large surface area to collect water and nutrients needed for their growth and to reproduce the next year. Tundra plants grow very slowly and have bright-colored leaves to absorb more heat from the sunlight. The slow growth helps them store most of their nutrients during photosynthesis and enables them to survive the winter so they can grow again in the summer. 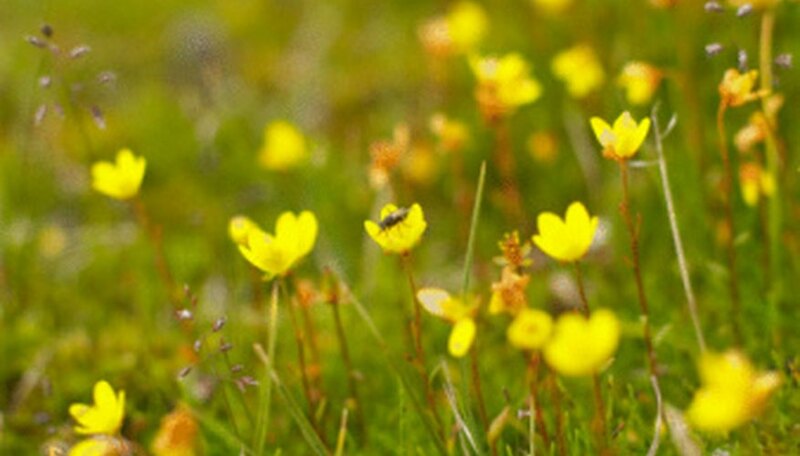 Tundra plants produce bright-colored flowers and fruits to attract insects and birds that help in pollination and seed dispersal. Some of the flowers and plants that grow in the tundra biome are the arctic lupine, the arctic poppy, arctic willow, Labrador tea, snow gentian, pasque flower, purple saxifrage, cushion plants, bearberry, diamond-leaf willow, arctic moss and caribou moss. Batra,, Sukhsatej. "What Kind of Flowers Are in the Tundra Biome?" Sciencing, https://sciencing.com/kind-flowers-tundra-biome-8408241.html. 24 April 2017.